A breakfast show in Morocco did an insert on how to hide bruises caused by domestic violence. Understandably, people are very upset about it. The Washington Post reports that the TV channel ran a tutorial, teaching women how to hide black eyes and bruises with makeup. 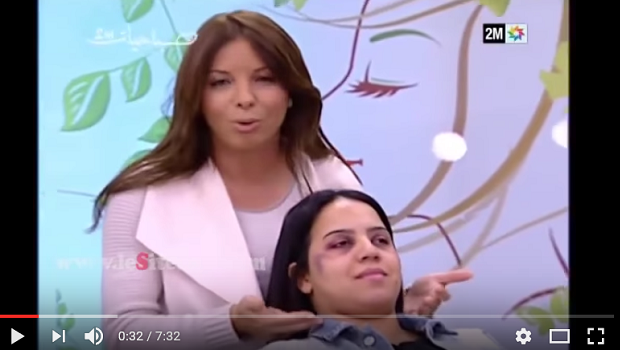 The clip is in Arabic, so I can’t quote from the video, but the female hosts and makeup artist are smiling throughout, while showing how to conceal the bruises from a beating with makeup. 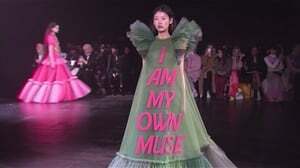 According to the Post, the segment’s host, Lilia Mouline says that she hopes the beauty tips help women carry on with their normal life. The insert has prompted shock and outrage across social media and a petition is doing the rounds appealing to the regulation board. While domestic violence is a reality of far too many women’s lives and the practicalities of abuse are often not talked about, the angle of this insert was completely misguided. By teaching women how to hide the signs of their abuse, instead of speaking out against abusers and offering help on how to get away from their attackers, they are tacitly encouraging the cycle of violence to continue. Domestic abuse and gender violence is a huge problem in Morocco, and inserts like these, that normalise violence against women instead of condemning it, are part of the problem.